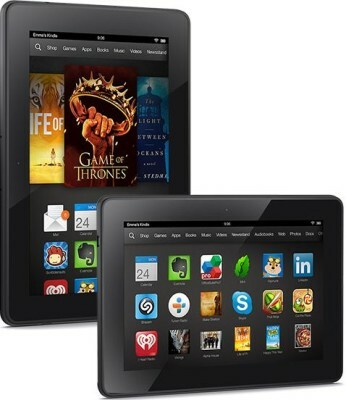 Amazon has finally launched the most awaited tablets, the Kindle Fire HDX 8.9 and Kindle Fire HDX 7. Both the tablets comes with Sturdy specifications and features. The tablets are already in fame, due to several leaks before the official launch. The Kindle Fire HDX 7 is priced at $229.0 (16GB) and $379. Amazon has made many changes to make the tablets approachable and lag free. It would compete with Apple iPad 4 , Nexus 7 and Samsung Galaxy Tab 3. The Kindle Fire 8.9 HDX comes with 8.9-inch HDX display having resolution of 2560×1600 pixels at 339 ppi and weighs 13.2oz, which is lighter than the previous generation. It is powered by 2.2GHz quad core processorpaired with 2GB of RAM and Adreno 330 GPU, the tablets is three times faster than its predecessor. At the back of the Amazon Kindle Fire 8.9 HDX there is 8 megapixel autofocus camera with LED flash and 720p HD front facing camera. The Kindle 8.9 is capable of recording Full HD 1080p videos and support 1080p Playback as well. The tablets comes with 16GB / 32GB and 64GB on board storage. It comes in three variants – WIFI only / Wi-Fi + 4G LTE AT& T / Wi-Fi + 4G LTE Verizon. It features Dolbly Audio on Dual stereo speakers and runs on Fire OS 3.0 “Mojito”. The battery offers 11 hours of mixed use and 17 hours of reading time. The Kindle Fire HDX 7 comes with 7-inch (1920×1200 pixels) display at 323ppi, powered by 2.2GHz quad-core processor integrated with 2GB of RAM and runs on Fire OS 3.0. The price of the tablet starts from $229 (RS 16,000 approx in India). It brings 11hours of battery backup. The tablet comes with front facing HD camera and 16GB /32GB / 64GB internal memory. It features Dual Band with Dual antenna Wi-Fi (MIMO). It also comes in two variants – WIFI only and WIFI + 4G LTE AT&T. WiFi + 4G LTE – $409 for 64GB, $369 – 32GB and $329 – 16GB. Will be released on November 14. 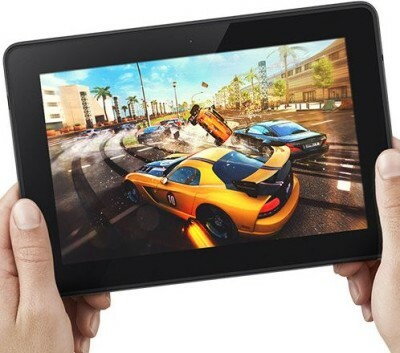 AMAZON Kindle Fire 8.9 HDX – (WiFi Only) starts from $379 to $479. Release date – November 7 2013. WiFi + 4G LTE – starts from $479 to $579. Released on December 10.